On Monday a group of graduating high school students in North Bay held a different kind of “senior” prom. They danced the night away with senior citizens at a local nursing home. A prom recently held in North Bay had the usual DJ, dresses, and dancing — but this one also came with some walkers, wrinkles, and grey hair. 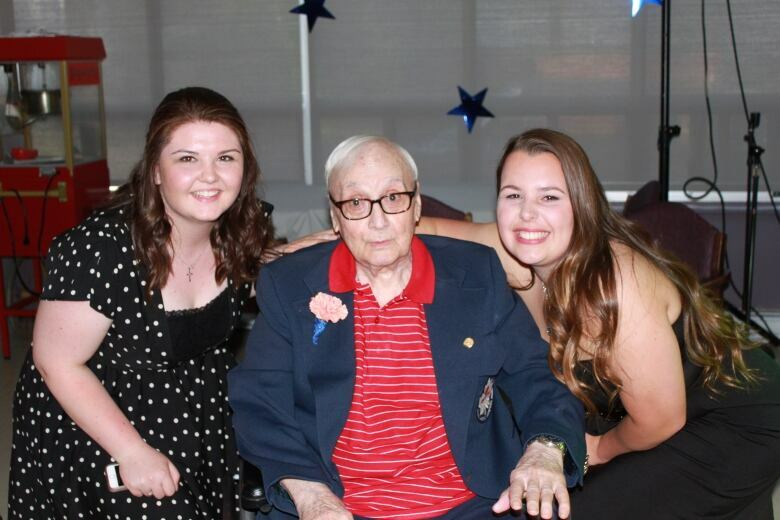 On Monday, a group of graduating high school students in held a different kind of "senior" prom: they danced the night away with senior citizens at a local nursing home. "We thought the play on words was a fun way to get students engaged and giving back to older folks in the community," said Erin Robertson, the West Ferris Intermediate and Secondary school teacher behind the idea. "It wasn't just the [seniors] sitting there watching young people doing something," Robertson said. "They were up on the dance floor. They were having conversations. One of our senior boys sat and talked to the same group of ladies for half an hour." Grade 12 student Allie Fairbarn told CBC News she first thought the senior prom might be awkward. 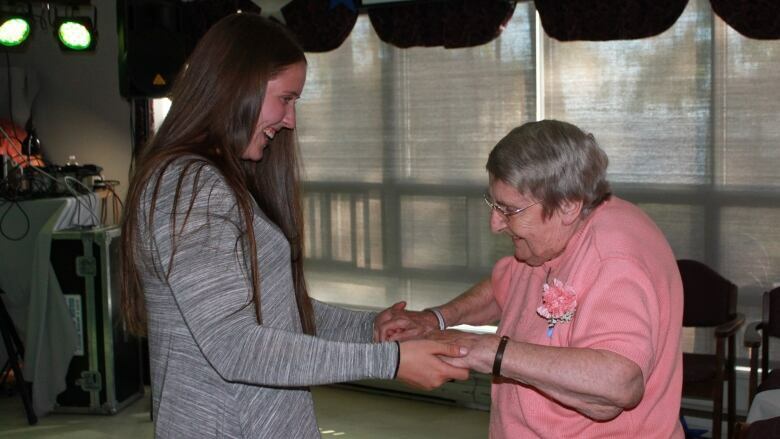 But she was surprised at how happy the group of 20 students made the retirement home residents — and just how well the seniors could tear up the dance floor. 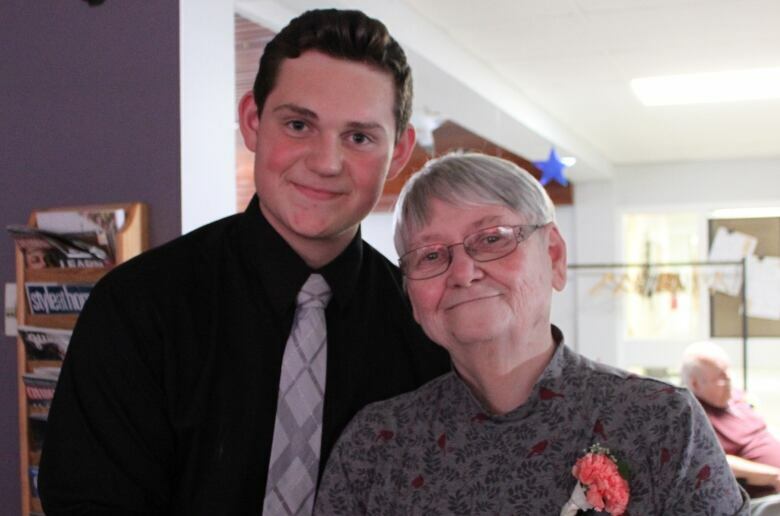 West Ferris Intermediate and Secondary School students held a "senior prom" of a different kind. "Most of them were in wheelchairs. But they still danced with us. They'd grab our hands and we'd just move with them," she said. "Some of the seniors were a lot better [at dancing] than we are," Fairbarn added. "They could move! It was really nice to see that they were all our age once and they enjoyed the same things we did." Robertson said she hopes other schools will try to plan a "senior" prom too. "I think a lot of teenagers have a disconnect. They often feel uncomfortable around older people," she said. "I was really hoping the students would get to see that older people, just because they're older, doesn't mean that they don't have lots of valuable things to offer. They still like to have fun," Robertson said. "I think it was really great for them to see that it's human nature to want to be social and have fun."